Modes are basically regarded as what we see. But behind the executed behaviour there is a layer of internal motivational processes. While more emotionally instable patients express their mode activations quite directly, people with more prefrontal control might perceive modes as internal activations that not necessarily are acted out visibly. Especially when looking at interpersonal relationships including these “backstage” activations into an extended Schema-Mode Model helps understanding Mode clashes by referring to basic emotions caused by unfulfilled core needs. Expressing core needs in a balanced way guided by our Healthy Adult modes helps resolving interpersonal conflicts. 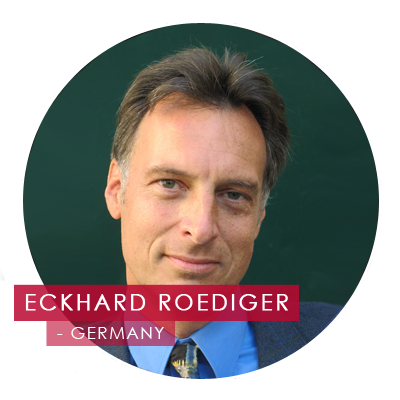 Eckhard Roediger (MD), is a neurologist, psychiatrist and psychotherapist trained in psychodynamic and cognitive-behavior therapy. Formerly Director of a Psychosomatic Department of a clinic in Berlin (GER), since 2007 Eckhard has been working in Private Practice and is the Director of the Schema Therapy Training Center in Frankfurt (GER). Eckhard is a Member of the ISST Board since 2008, and currently serves as President.